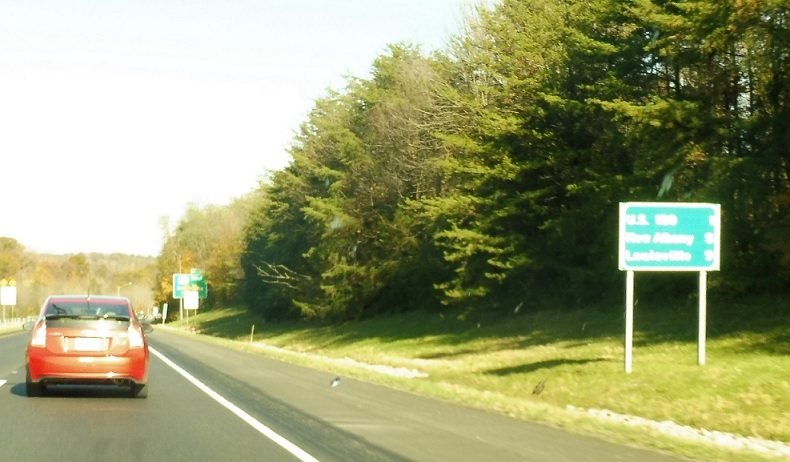 Immediately as 62 merges onto I-64, we’re a mile from US-150. 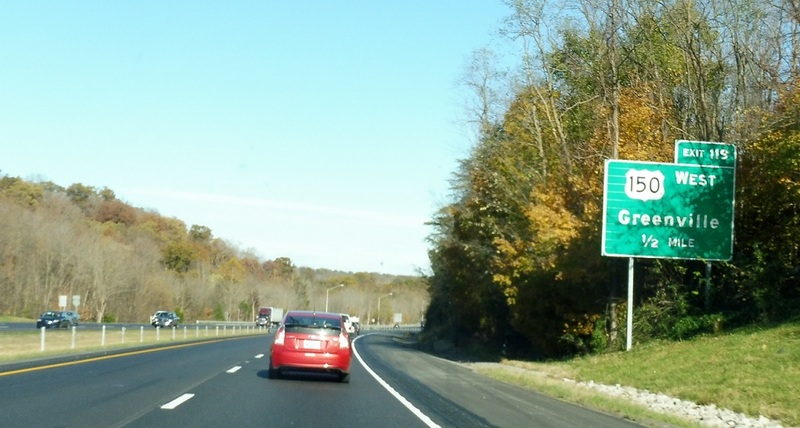 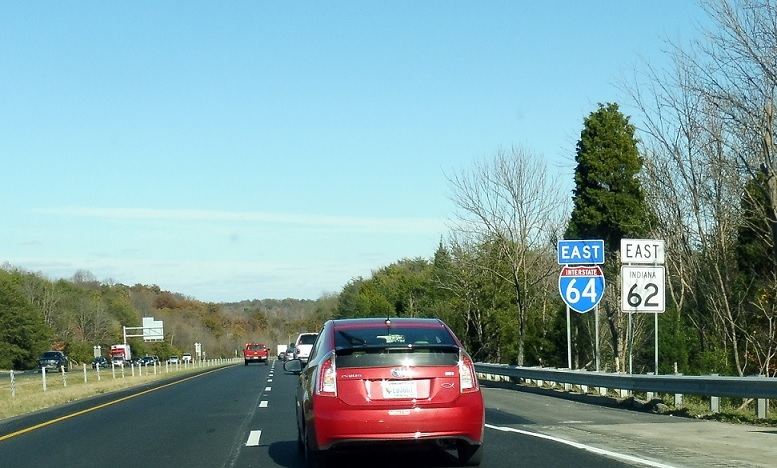 Reassurance shield as 62 joins I-64. 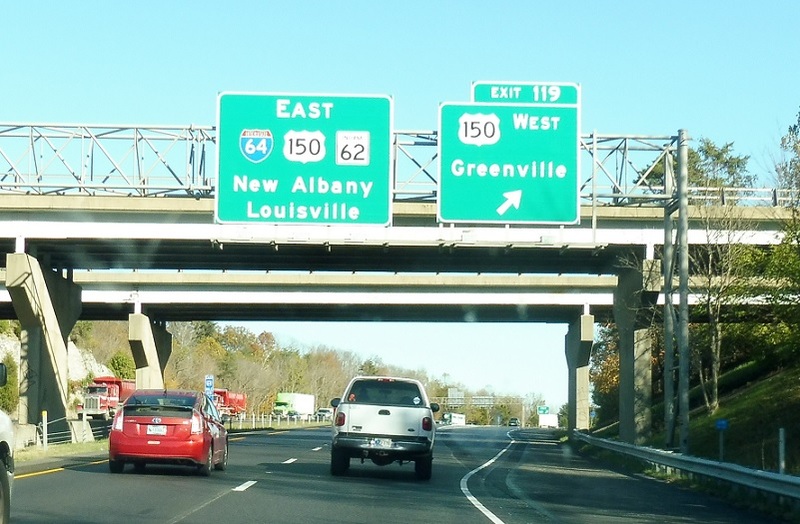 Exit for US-150 west towards Greenville. 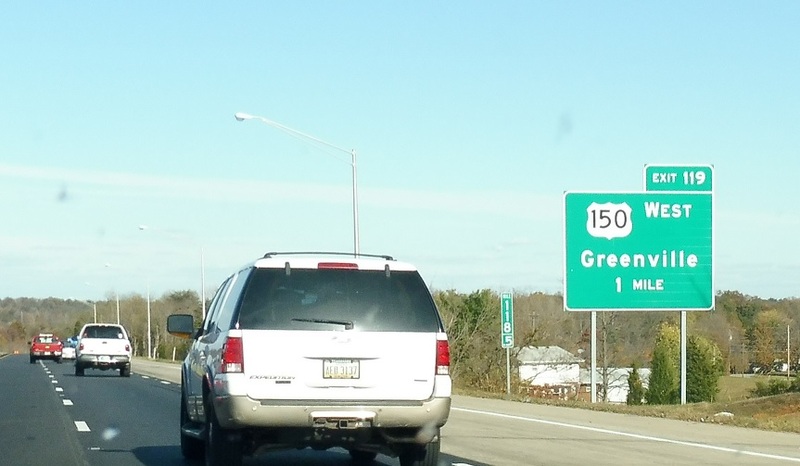 US-150 east joins the concurrency.